Portland Bolt provided anchor bolts to an international power contractor. These large diameter bolt assemblies were used for equipment and tower installations. 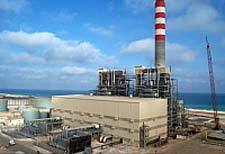 This 2 unit, 682-megawatt power plant was the first large scale privately owned power generation facility in Egypt.